You are here: Home / Associate Adjusters / Sorry Insurance Adjusters. Only One Hat For You. Sorry Insurance Adjusters. Only One Hat For You. 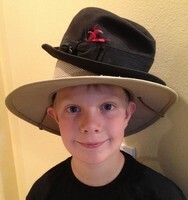 Problems arise when we try to wear two hats at the same time. Not only do the hats look silly, but neither one fits really well. The same rule is true as it applies to the insurance industry. Insurance professional are often prohibited from trying to do two jobs at the same time. For example, you wouldn’t want the person who is selling the insurance to make decision as to who is a qualified insured and how much the insured’s premiums will be. I am sure that you can imagine the conflicts that could arise where the salesman is the one that is assessing the risk and setting premiums. Insurance regulators generally frown on that type of activity. The same holds true on the claims side of the insurance house. It is insurance adjusters who are responsible to investigate and settle insurance claims. NRS 684A.020. In Nevada, insurance adjusters have to pass an examination and receive a license. NRS 684A.100 and NRS 684A.040. The same type of “no-two-hats” rules are written into the adjusters’ licensing statues. For example, did you know that a person cannot be licensed as an adjuster and own a body shop? NRS 684A.055. Adjuster licensing laws also require adjusters to be loyal to the person or entity that hired them. For example, adjusters have a choice. They can work as either an independent adjuster and represent the insurance company. Or they can work as public adjuster and represent the interests of the insured. NRS 684A.030. However, adjusters cannot be concurrently licensed as independent and public adjusters. NRS 684A.050. In addition, individuals are disqualified from holding an adjusters license if that person is insurance producer, namely someone who sells insurance. NRS 684A.070(1)(e). The Nevada Insurance Commissioners take these issues seriously. A person can be fined for adjusting claim without a license. NRS 684A.040. Or if they are licensed and they are not in compliance, their license can be suspended, limited or revoked. NRS 684A.210. If your adjusters need help with claims or have questions about licensing in Nevada, please contact Mike Mills at 702-240-6060×114. I would love to help you.